A federal case in Upstate New York is proof that despite asbestos abatement laws, gads of scientific evidence supporting the link between asbestos exposure and cancer, and contemporary best practices surrounding the handling of asbestos, some employers continue to ignore its significant risk to worker health. Some asbestos products such as floor tiles or old insulation can be relatively safe when they’re undisturbed. However breaking up these product releases toxic asbestos fibers into the air. U.S. Attorney William Hochul Jr. spearheaded the case against Anastasios “Taso” Kolokouris, a Rockester-area warehouse owner who paid untrained workers under the table, including one who was a minor, to improperly remove damaged asbestos products. Some asbestos products such as floor tiles or old insulation can be relatively safe when they’re undisturbed. However breaking up these product releases toxic asbestos fibers into the air. When inhaled, these fibers are known to cause mesothelioma and other severe illnesses. 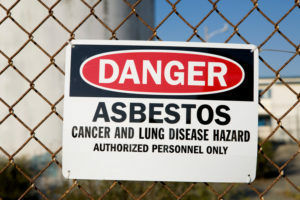 “Simply to save money, this defendant knowingly exposed untrained, temporary workers to asbestos ─ a highly-dangerous substance long known to cause cancer,” Hochul said in a written statement that was released to the press. Kolokouris plead guilty to the charge of violating the federal Clean Air Act and is now facing sentencing that will likely include fines and jail time. If you or someone you love was exposed to asbestos on the job and subsequently became severely ill, the New York City mesothelioma trial attorneys at The Williams Law Firm, P.C., can help. Please contact our firm online or by telephone for your free case consultation: (855) 955-6376.